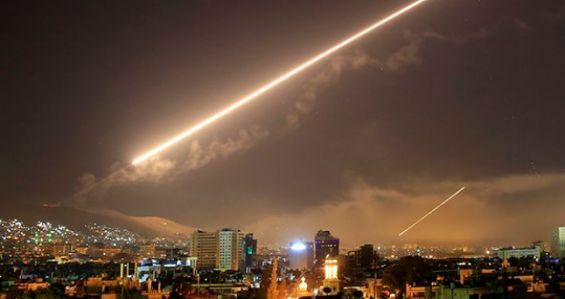 Morocco, and through its foreign ministry, reacted to the US military strikes launched alongside UK and French forces on Friday to reduce Syrian regime’s chemical weapons facilities after the gas attack on Douma in Damascus. «Past experiences have taught us that military options, including air strikes- even if they are justified- complicate political solutions, add on the suffering of civilian victims and aggravate their feelings about the west». Indeed, the Syria air strikes occurred as Foreign Minister Nasser Bourita is expected to attend the Arab League Summit in Dahran, Saudi Arabia. Moreover, the Western offensive was launched without consulting allies in the region, insist the Moroccan authorities. Morocco’s reaction to the attack did not stop there, in fact, the communiqué denounced double-standard policies, used especially when managing international conflicts. «Considering fast military options, in some cases, can lead to international legality», however for the kingdom, this incoherence «would only inflate international tensions». «The Kingdom of Morocco believes that the solution to the Syrian crisis must be political, and hopes that there will be a way out preserving the unity of the country, the dignity of its population and an affective fight against intolerance, extremism, and terrorism». Unlike Saudi Arabia, Qatar and the majority of the Western powers’ allies, who supported these operations, Morocco has chosen not to take sides. A position that took into consideration Russia, the great ally of the Syrian regime. Indeed, April is a crucial month for Morocco as the Western Sahara conflict is being reviewed by the UN and Russia is one of the permanent members of the Security Council in charge of this mission.